We are a premier manufacturer of cell culture products and especially recognized for its broad range of human primary cells, stem cells and blood cells, as well as optimized products for cancer cell culture, including kits for 3D cell culture. 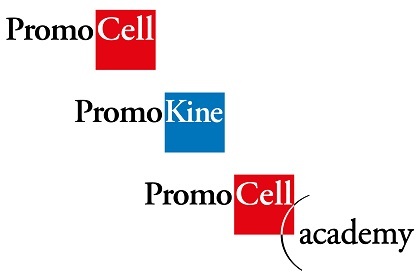 Under our PromoKine brand we offer a comprehensive range of well proven cell biology assays such as kits and reagents for cell analysis, apoptosis research, cell transfection, fluorescent labeling, mycoplasma detection and elimination as well as numerous antibodies, ELISAs, cytokines and growth factors. The experienced lecturers at the PromoCell Academy are there to provide you with state-of-the-art insight and up to date trends in the Life Sciences in a professional and hands-on setting.